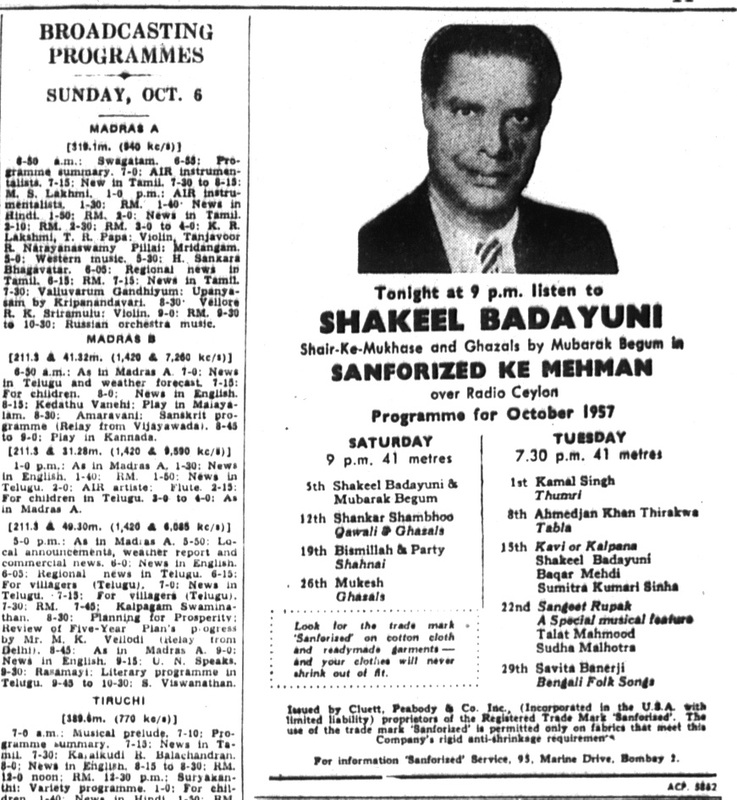 In Bombay’s movie fanpaper, Film-India, Editor Baburao Patel conducts an unusually piquant question-&-answer department. Last week Hollywood learned how Editor Patel does it. Q. I hear bad rumors about Director Shantaram. Every man from Poona and Bombay says that Shantaram has done such & such a thing. I am sure that he is not a person to do such a thing. I think that Mr. Shantaram is aware of his fame and would not have done that thing. So you must tell the public that Shantaram is innocent by publishing his innocence in the next issue. A. And I must also publish my innocence about what you are talking. Q. Please tell me, which is the easiest way to get a job in a film company? A. Get hold of the most attractive girl in your town and bring her to a film studio. . . . The other way is rather roundabout. Q. Whenever I see a romantic picture, its effect lingers with me for five days and I cannot prosecute my studies. What shall I do? A. Stop seeing pictures. Studies first. Q. How many of our actresses are virgins? A. I don’t know much about the actresses being virgins. This is an antique commodity in a modern world and you may find it in rural surroundings. There’s all this chatter about Virgin Comics roping in Priyanka Chopra to create a new superhero character for the Indian market (story here). 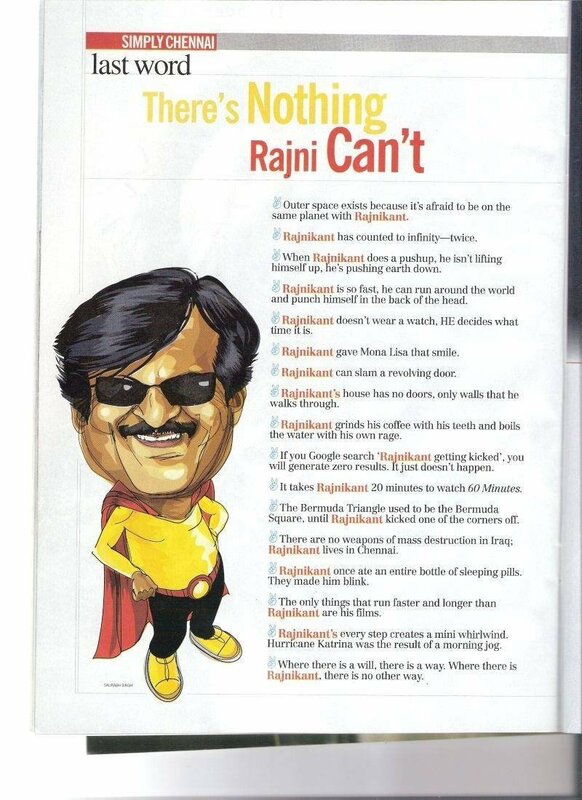 But everyone forgets the man who started it all – superstar Rajnikant! But then, any true Rajni fan wouldn’t be fazed. After all, Rajni has taught us all well: en vazhi thani vazhi (my way is unique).